I’ve been making pita breads with yeast for a while now. Last weekend, I attempted my first sourdough pita breads. Part of me thought that sourdough wasn’t powerful enough to make the dough puff. I should of course know better by now. Sourdough pita bread (without the addition of yeast) works really well and tastes even better! To add another layer of complexity and nutritional value, the recipe below uses 100% whole wheat flour. 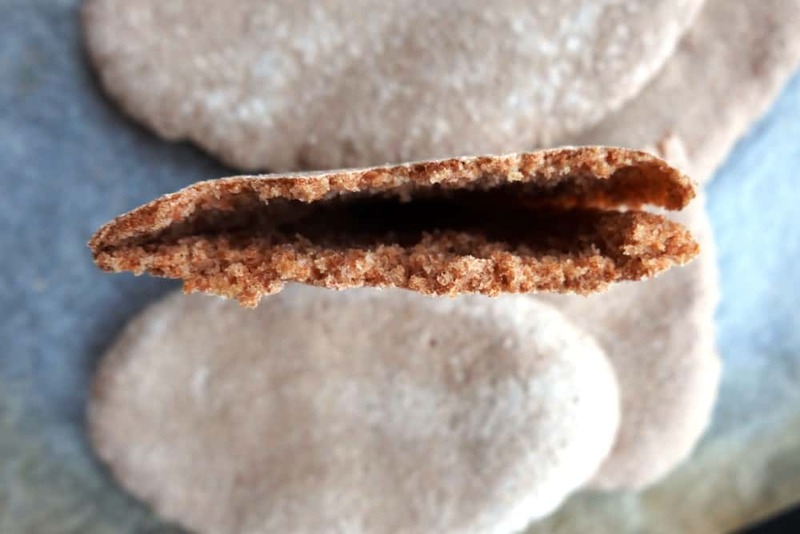 The sourdough whole-wheat pitas puff brilliantly. Make sure not to over-bake them and I promise you that they will turn out soft, moist and light. 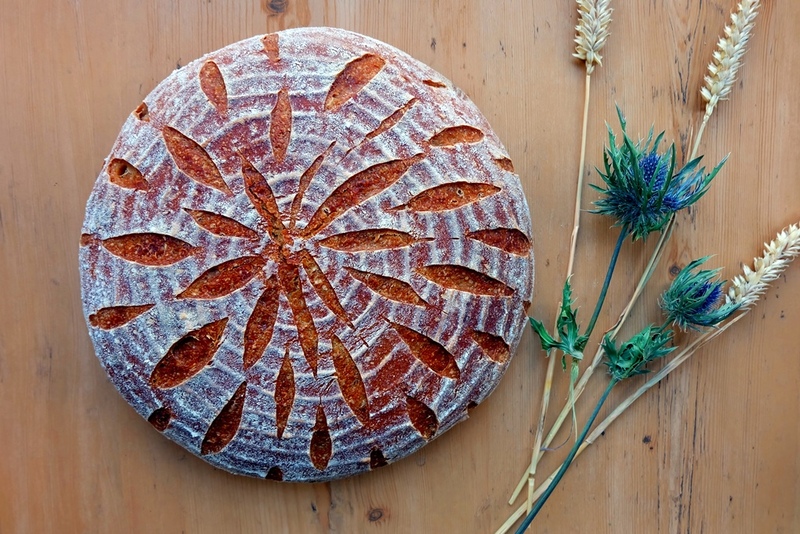 Refresh sourdough: In a small bowl, combine 30g sourdough starter with 100g whole wheat flour and 100g water. Mix well, cover and leave at room temperature for 16 – 24 hours. Combine 200g of the refreshed sourdough starter (rest goes back into the fridge) with 350g whole wheat flour, 200g water, 1 1/4 tsp salt and 1 tbsp oil in a medium bowl. Knead for about 10 minutes, then place the dough back into the bowl. Cover and leave to rise in a warm spot until it has significantly expanded in size, approximately 2 hours (depending on the temperature in your room, this could take longer). Punch down the dough and shape into a log. Use a dough scraper to divide into 6 equal pieces and shape each dough part into a firm little ball. Dust the balls with flour, cover with a teatowel and leave to rest for 20 minutes (you’ll be able to shape the dough much easier after this time). Meanwhile, preheat the oven to 250ºC / 300ºC – the highest setting you have. If you are not using a baking stone, leave the baking tray in the oven to heat up – you want your pitas baked directly on a hot surface. Carefully shape each dough piece by hand to a disc shape, then roll each dough disc into circle or oval, about 4 mm in thickness. 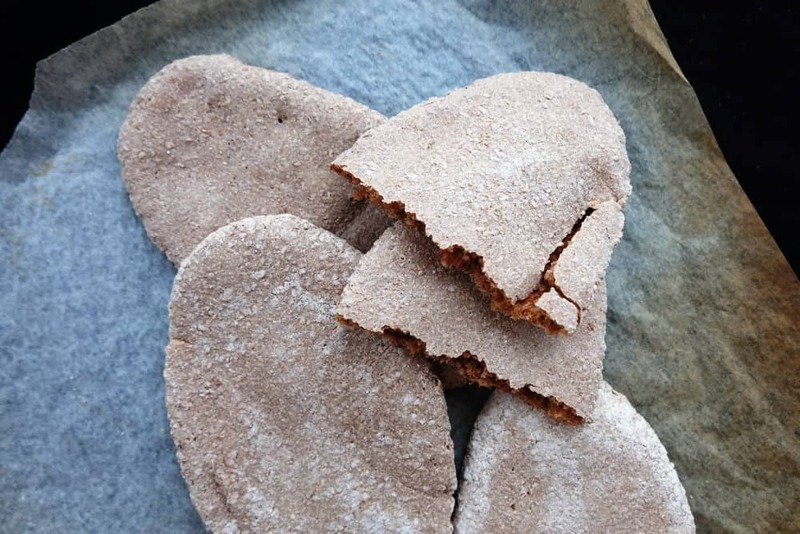 Place each pita bread onto baking paper (to fit onto your baking tray). You may have to bake in batches depending on the size of your baking tray. Cover with a teatowel and leave to proof for about 30 minutes. Take the hot baking tray out of the oven, carefully move the baking paper with the pita breads onto it and bake on the lowest shelf until the pitas puff up, have lightly browned and fully ballooned, circa 4-5 minutes. Turn the pitas and bake for one more minute. Don’t over-bake them as they should come out still soft, not with a hardened shell. 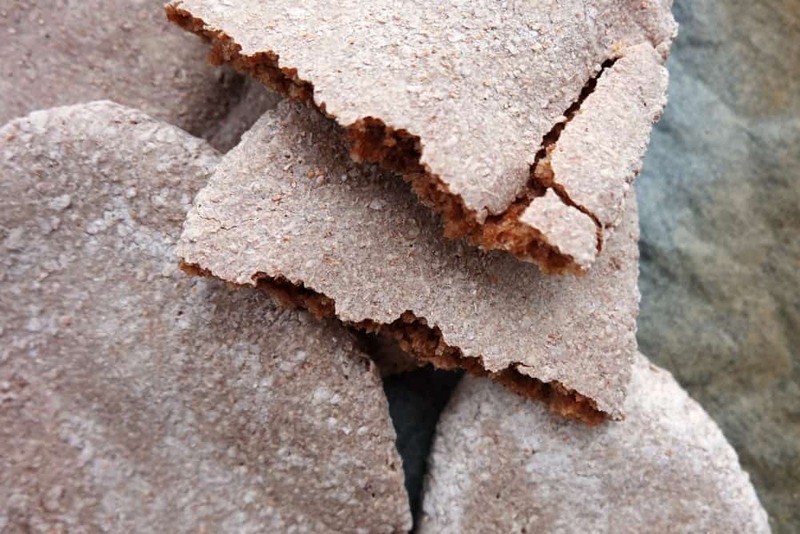 If you’d like to try another sourdough flatbread recipe, give this teff sourdough flatbread from Ethiopia (injera) a go!